Another great milestone just passed — there are now 4 million new tracker elves so far this year. Fabulous! 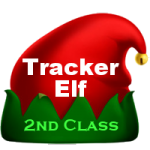 The bad news is that we need 2 million more tracker elves by…SUNDAY! Of course it can be done. The more we get 4 million of you out there to tell your friends the sooner we can meet the goal. We can do it! 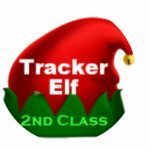 Tell everyone you know to come to SantaTrackers.net to track Santa for Santa. You go to the bottom of the page and you will see an tab and it has different things and then you will see Kringle Radio and and click on it. Then it will take you to Kringle Radio. 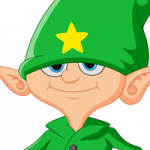 I am an elf I have a scheuldle and this is my favorite time of the day ! Starfire .